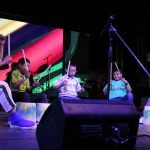 These days, the international band Gen Verde is in the Republic of Panama, to participate in the Youth Festival of World Youth Day 2019, and hold “Start Now” workshops, to spread the culture of fraternity, in the cities of Colón and Chitré. 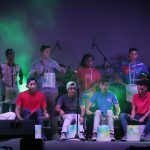 The artists of the international band Gen Verde, who were invited to participate in the Youth Festival, thanks to funds raised with a challenging crowdfunding campaign, were also able to hold two workshops of the “Start Now”, project in the cities of Colón, in the North of the country, and Chitré, in the interior. 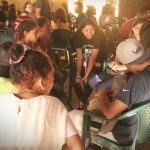 “Start Now” is Gen Verde’s educational project for young people aged between 15 and 24 (from schools, universities, dioceses, etc.). 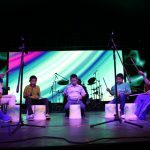 Through a series of singing, dance, percussion and acting workshops, youths are able to participate in the band’s final concert as lead performers, sharing an artistic and professional experience that will enhance their cultural intelligence, increase their sense of social responsibility, and their awareness as global citizens. 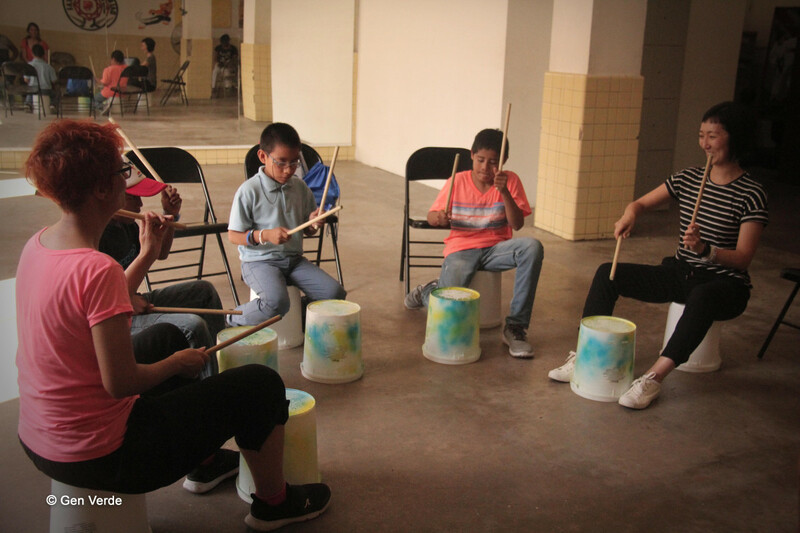 The different artistic modes that are used during workshops, effortlessly and spontaneously lead to the sharing of ideas, opinions and experiences. Everyone feels like a protagonist, an active part of a common project: this is a way to promote a culture of solidarity and an environment in which individuals are cherished, together with their talents. 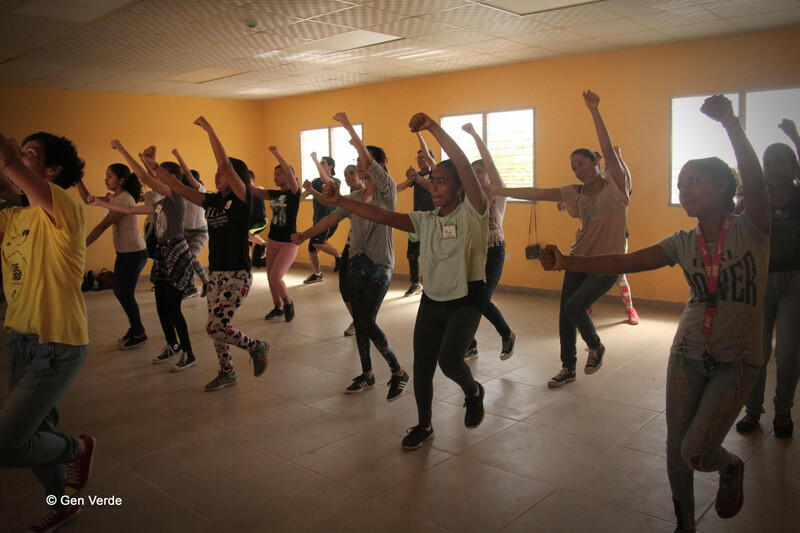 Raiveth Banfield, a singer and dancer from Panama, tells us that, on this occasion, she “is playing” at home: «In the diocese of Chitré, 60 young people from two different provinces participated in the workshop: Herrera and Los Santos. 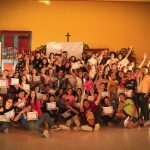 The challenge for them was to organize the first “Start Now” event in the American continent, during the pre-youth day organized by the diocese, in which more than 4,000 youths from 25 countries participated». 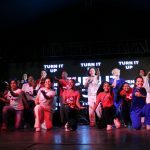 Together with Gen Verde, these young people prepared to welcome a great many pilgrims, following the WYD 2019 slogan to the letter: “My home is your home” (as a matter of fact, most of the pilgrims are hosted by Panamanian families!). Raiveth continues: «Young people kept repeating their city’s motto -“Here, no one feels like a foreigner!” – and starting from this, we began to face the challenges that came from the workshops: understanding each other, coordinating each other albeit conveying mutual trust, respect, tolerance, overcoming differences. The result was astounding, as they told us themselves: “The first day no one knew each other, but then we worked to build trust inside the group, which became united as a family, like you of Gen Verde who, although you are different and do not share the same mother tongue, communicate a lot, and convey all the joy and talent you have. And now we feel that we can live like this, too, every day”». Then, it was the turn of Colón, in the North of the country: a city torn apart by gangs fighting for control over the drug trade, where violence and poverty are rampant, and living conditions are very difficult. 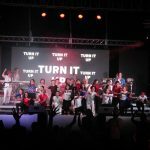 «We wanted to repeat the experience of Chitré, whereby young people from the diocese would greet pilgrims, during the concert at the end of “Diocese Day” but, as soon as we arrived, we found out that only 15 youths were there waiting for us! Realizing that it’s not quantity that makes or breaks a project… we enthusiastically started working with them, passing on the experience and values of “Start Now” without sparing any effort», Raiveth adds. Youths came from difficult social and family situations, looking for “something” to quench their thirst. «We said to each other: it is for them that we want to give our lives! Even though we had to hold the workshop in two days instead of five, it was easy to achieve a great unity, as they also realized themselves». 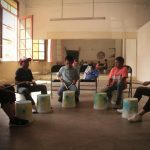 “Working in Chitré and Colón, we felt how important it was to send them the message that things could change. How? By making them experience that someone believes in them and trusts them. 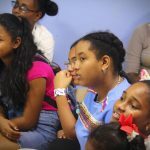 This brought them to give their best and find out they can deal with the difficult situations they face each day in a different way. For this reason, when someone asked us what we would like to tell young people in these cities, we replied “Hope, never lose the strength to move forward!”. 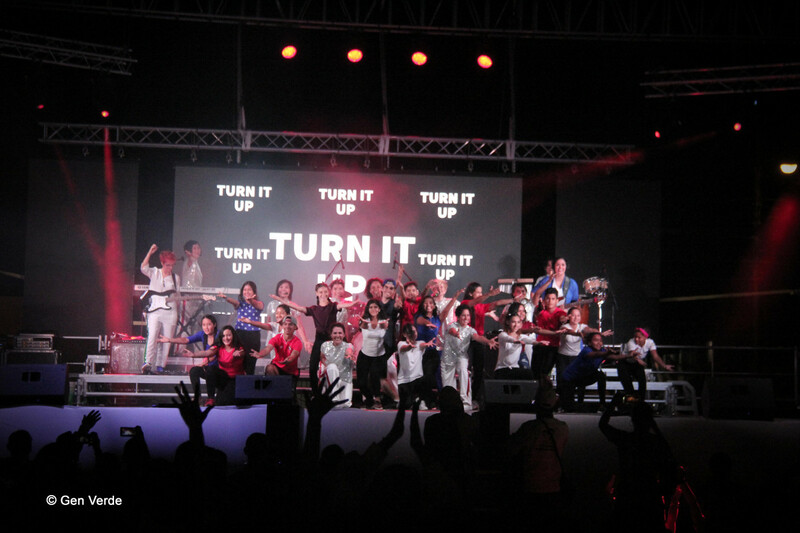 The time has finally come for the Festival to take place, prior to Pope Francis’ arrival. «Living these days of testimony and faith together with the whole Universal Church is a very powerful experience! We live the beauty of our faith together and ready ourselves to accept the message of Pope Francis. 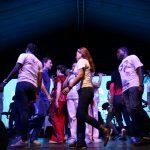 The aim of the Youth Festival, as the organizers put it, is to “unite young people from all over the world through the sharing of their artistic and religious talents and experiences of faith and life. This expression will be manifested in a variety of art, music, stage events, art exhibitions, meetings and much more. The band will participate by bringing its new show “From the Inside Outside“: a hymn to the beauty everyone carries inside, which can shine and bring light to the many “nights” that surround us, as a gift we can give to humanity. Then, it will be time for the great night Vigil between 26 and 27 January. 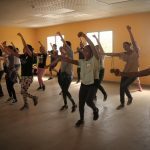 While Gen Verde will continue their tour (and their unmissable “Start Now” workshops) in Central America and the Caribbean, traveling to Cuba, Guatemala and San Salvador. 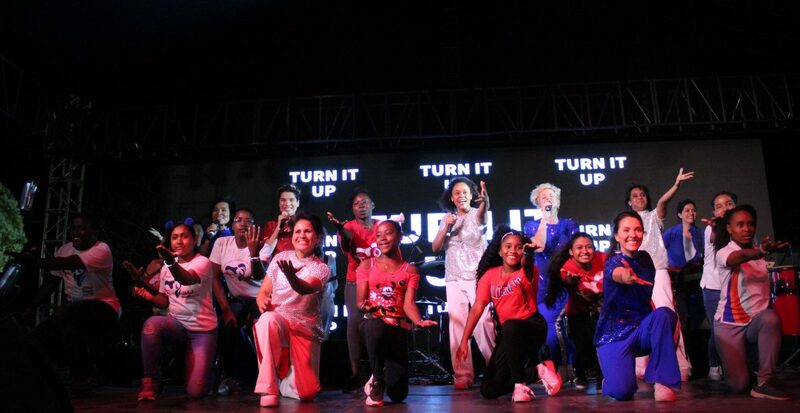 For more information on Gen Verde’s “Start Now” project, click on HERE.